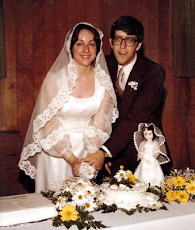 Letters to John: Mole Problems? 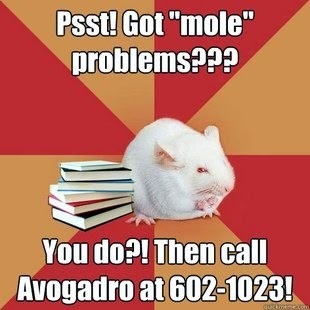 Call Avogadro! The lawn is mowed. And I got a package to the post office, did two loads of laundry, and cleaned out the big litter box. And now I'm somewhere beyond exhausted, but the yard looks much better. It was an adventure. I put the snow blower away in the shed and got out the mower. I cleaned it up first. And I continued to clean it. The grass was so long and thick that it stalled sixteen - sixteen! - times. Each time I had to turn it over and clean out the accumulated grass. My hands are stained green The back yard looks like I've been cutting hay. But that's due to Jethro's diligence in keeping it fertilized. The mole problem is terrible this year. Everybody has been saying that the moles are much worse than usual. Jethro keeps them out of the back yard - when he hears them underground, he starts digging. Being sensible creatures, they no longer come inside the fence. I wish there was a way I could rotate him throughout the yard. I need to check my gardening catalogues for mole remedies. The yard looks like it has varicose veins. If all else fails, I will take Science Major Mouse's advice and call Avogadro. It's 9:00 and I'll be up at 5:30, and we're all off to bed. Tomorrow is Friday so we'll be busy. The day will go by quickly. 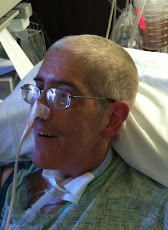 I wish I had you to come home to at night. But Jethro and his cats look after me and give me lots of loving. so I'll be alright. Now I need to teach the dog how to use the trimmer . . .